How does the global internet compare to a single human brain? HomeNewsHow does the global internet compare to a single human brain? June 29, 2014 Comments Off on How does the global internet compare to a single human brain? It’s about 1 optical fiber. The maximum conceivable bandwidth of a single-mode optical fiber is set by the frequency range where it’s clear enough to transmit light without melting. That number is about 1 petabit (10^15)/s, depending on the transmission distance. Bit rates of about 10% of that have been achieved in the laboratory using “Space Division Multiplexing”, while the current generation of optical networking products use multiple channels of 100 Gigabit Ethernet to achieve as much as 10Tb/s on a fiber, about 1% of the theoretical limit. 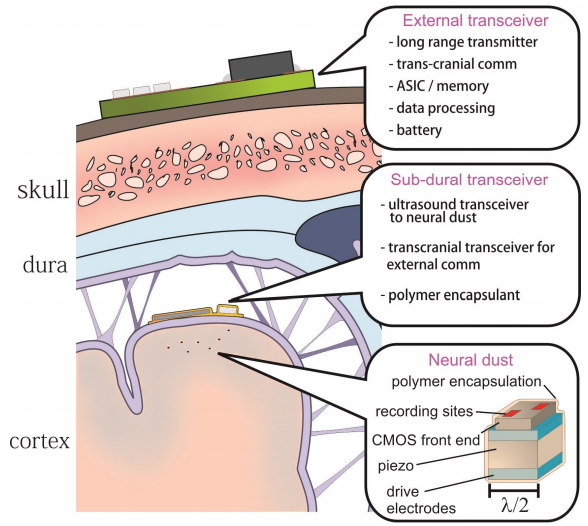 A petabit per second is a ways in the future, but so is our neuro-dust.) Even now, we could probably fit a brain dump on 16 of the laboratory fiber systems. Cisco puts out a report every year estimating the total traffic on the internet. This year, they’re estimating that the total IP traffic in the world is 62,476 petabytes per month. That’s about 190 terabits/second. So a brain readout would be about 8 times the internet’s total data rate.